Brookfield Pop Warner….Working to Keep Kids Safe! We are excited to announce that National Pop Warner has partnered with USA Football and Heads Up Education to bring new safety initiatives to our program! As a part of this program, all coaches and personnel working directly with our players will be required to achieve Level I instruction and certification under the Heads Up Program. 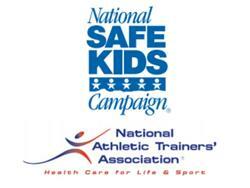 This program instructs coaches on many facets of player safety and safety requirements. In addition, we are working to get as many football and cheer coaches CPR/Red Cross trained as possible. In accordance with safety programs instituted by USA Football, each league is required to have a certified Player Safety Coach. Currently, our Commissioner, Andy McVey, is acting as our Player Safety Coach. He first received Heads Up Certification then attended an all-day seminar addressing player safety. This safety instruction encompasses not just appropriate tackling and play, but also concussion awareness, recognizing and treating heat-related illness, and the proper and safe fitting of equipment. We are hoping to have an additional trained Player Safety Coach as well. They will be running in-house training to bring the same level of awareness to all of our coaches, staff, and parents. Following the lead of all levels of football…from the NFL down through youth leagues….we will be instituting a new policy on injury reporting and tracking. Coaches will be submitting reports directly to the safety coordinator any time a player is removed from the remainder of a game or practice, or when outside medical treatment is required. These injuries will be recorded and tracked in the efforts of Pop Warner to determine when and if future injuries can be prevented. Please refer to the Safety Tab on our website to view important safety information and forms. 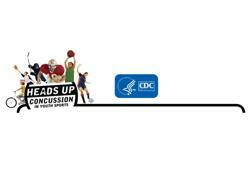 These signs and symptoms may indicate that a concussion has occurred. These guidelines were developed to help parents and coaches increase the safety and performance of children who play sports in hot weather. Children who play sports or are physically active in hot weather can be at risk for heat illnesses. The good news is heat illnesses can be prevented and successfully treated. Children sweat less than adults. This makes it harder for children to cool off. Parents and coaches must make sure that children take it slow to be sure they can get used to the heat and humidity gradually. There are other reasons why a child may become ill from a heat illness. Those who have a low level of fitness, who are sick, or who have suffered from dehydration or heat illness in the past should be closely watched. A medical professional such as a certified athletic trainer (ATC) should be on site to monitor the health and safety of all participants during games and practice, especially when it is very hot and humid.